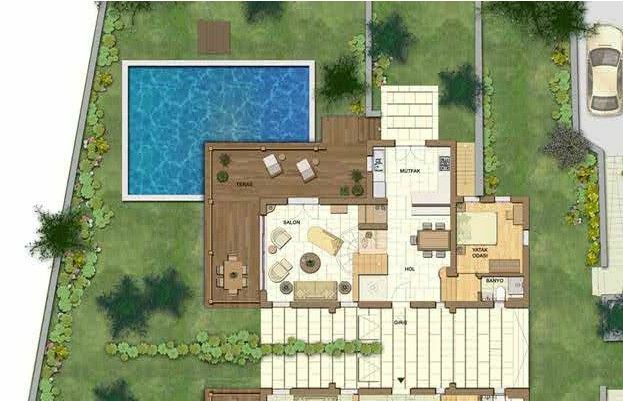 Property for sale in Gocek. 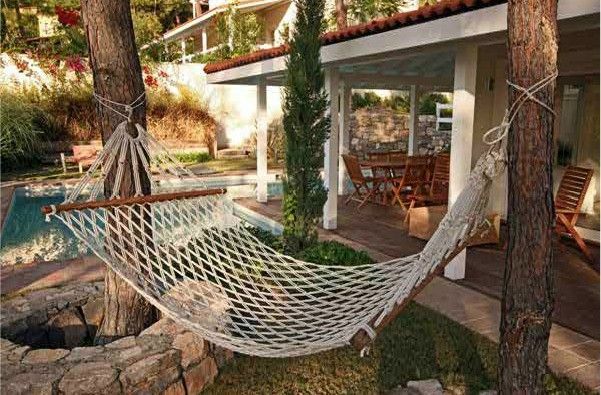 Semi-detached villas for sale in Gocek. 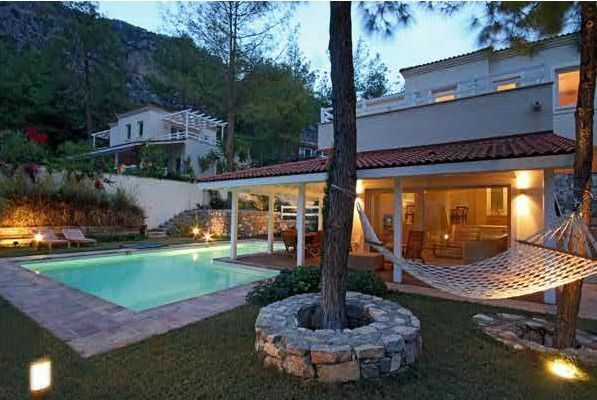 Located in the fine hillsides of Gocek, these villas are constructed looking down onto the Mediterrean Sea. 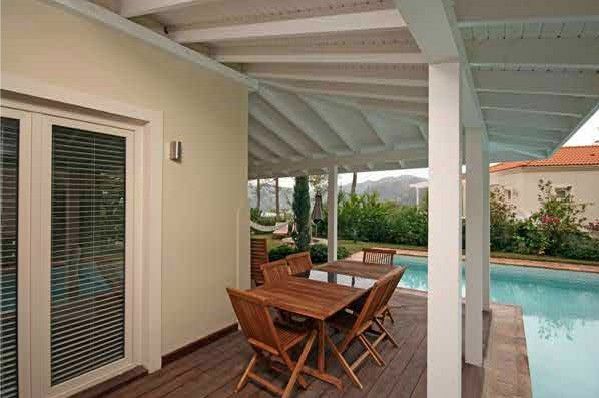 Carefully placed in order to give each villa its own generous gardens and magnficent views. Contemporay design living with inspirational traditional regional architecture. 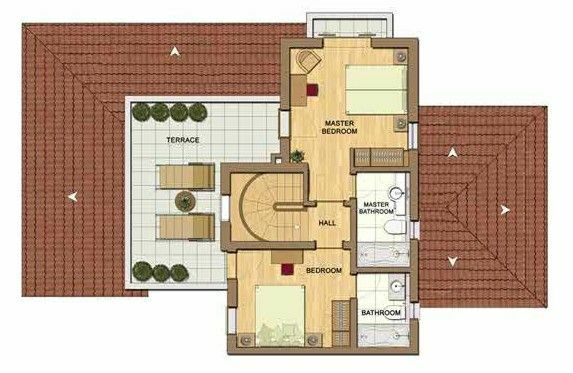 The semi-detached villas comprises of 3 levels Basement floor has a large storage room or hobby room , utility room and bolier . 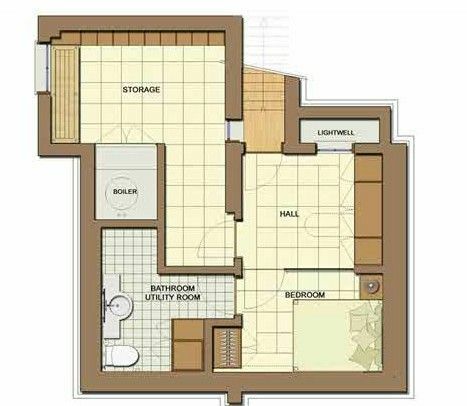 Hallway with double bedroom and bathroom suite. Ground floor which is entrance level has open plan fully fitted designer kitchen and dining area leading off to living room with large patio doors opening onto L shaped wooden decked terrace which overlooks the swimming pool and gardens. 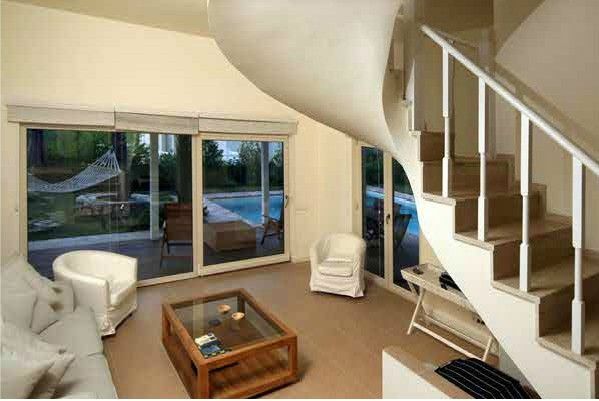 Double bedroom and bathroom suite. 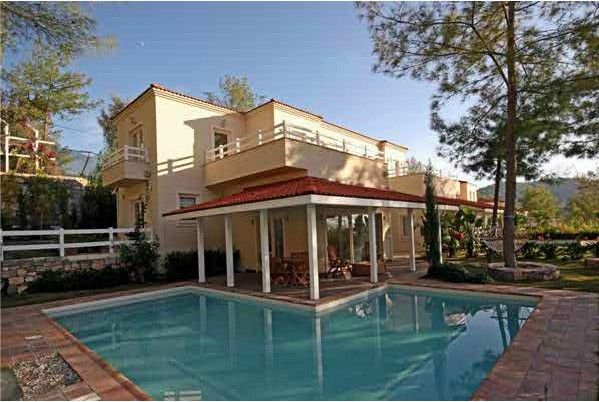 First floor has Master bedroom with en-suite facilities a further double sized bedroom with en-suite bathroom these bedrooms share a roof terrace with superb valley and mountain views. Flooring are Italian ceramics in hallways,dining and living areas. Bedrooms are laid with engineered oak flooring. Kitchen and bathroom suites top quality vitra ceramics. Windows and patio doors are fully double glazed. 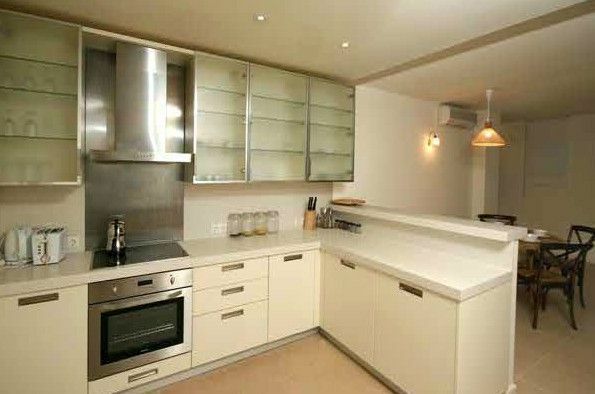 Kitchens are fitted with built-in oven and extractor hood.